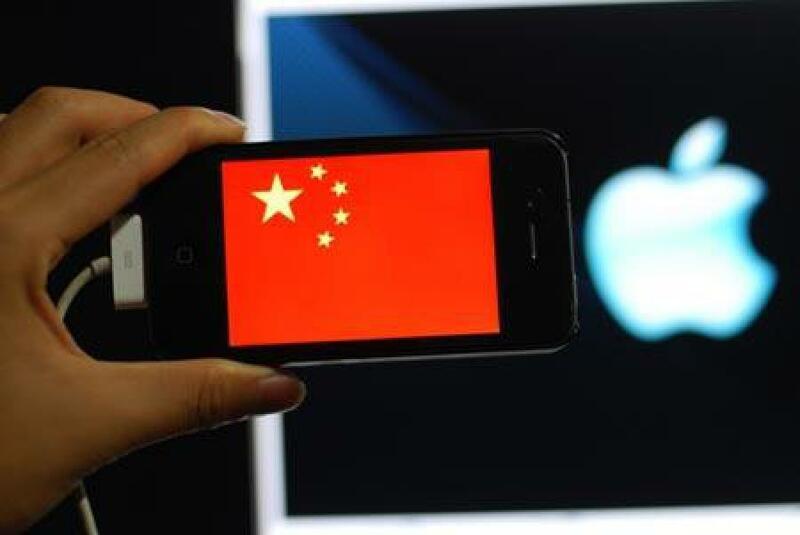 While the launch of the iPhone 5 in China does not seem to inflame passions, a new mixed note Analyst is once again back significantly in the group. The announcement of the iPhone 5 in China is supposed to be rather good news and provide strong support for the group volumes sold of Cupertino, while the Middle Kingdom is a highly strategic market, but the home fairly quiet terminal (there is little queuing form) and a new analyst note uninviting are once again stumbling over the Apple offering. It comes this time from Steve Milunovitch, an analyst at UBS, which has lowered its financial forecast for the fiscal year 2013 (which will start) and 2014 of the firm at the apple, and slightly reduced expectations on volumes iPhone and iPad. It now positioned his price target for Apple to 700 $ against 780 $ previously, which is already much less ambitious than the 800 to 1,000 dollars predicted earlier this year, while Apple has already spent a first time cap of $ 700 in September. But what worries investors is one of the remarks the analyst says that according to his sources with suppliers in China, the iPhone 5 could be sold less than its predecessor the iPhone 4S, even if it does not necessarily see on cumulative sales (not Apple retailer from each model). That statement, which follows several others about a slowdown in growth of the group, has plunged during the Friday group of more than 3.5%, bringing it to 510 $, while it was entrenched to 540 $ during the week. If you are far from the peaks in September, it remains well above the value of Apple's stock earlier this year, which was then more than 400 dollars. Chinese market with 90% controlled by Android, the limited growth prospects because of the economic model chosen by Apple, and a possible saturation effect of the smartphone segment markets established in 2013 which is in the process of cause a shift in growth to the lowest line segments (of which Apple is now that its older model iPhones sold as loss leaders), slowing the growth of Apple, after many quarters progression unusual, would not entirely surprising.